The boutique event celebrated its fifth birthday edition at Plaisterers’ Hall on May 15 and 16 with attendance from corporate buyers and big name companies including the likes of Bank of England, British Airways, Charles Tyrwhitt, Deloitte, Facebook, Mothercare, RBS, Stylist, Shell, Ogilvy & Mather. The event welcomed a record 79 exhibitors and sponsors, all in the room to present a diverse range of London Christmas party venues, theming, catering and entertainment options, with award-winning caterers Create serving visitors and exhibitors with a varied menu of delicious treats throughout the event. 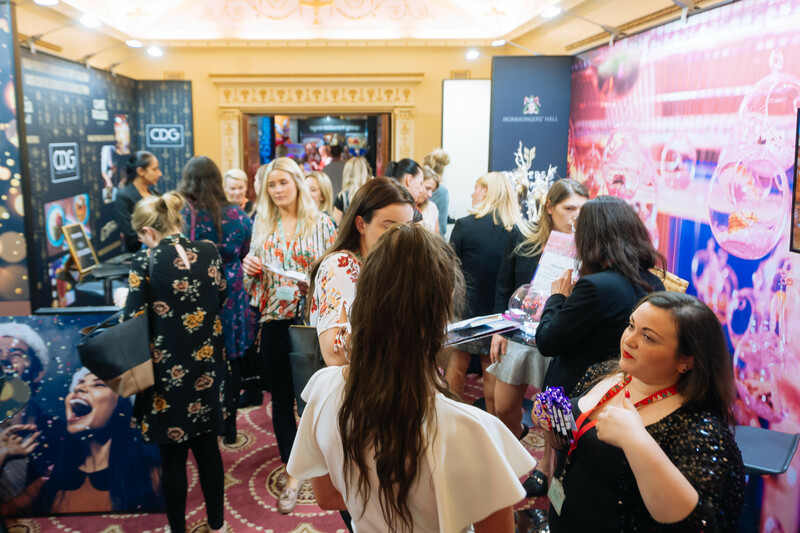 PA Life was at the event and had a great time meeting lots of PAs, EAs, office managers as well as suppliers to the industry. 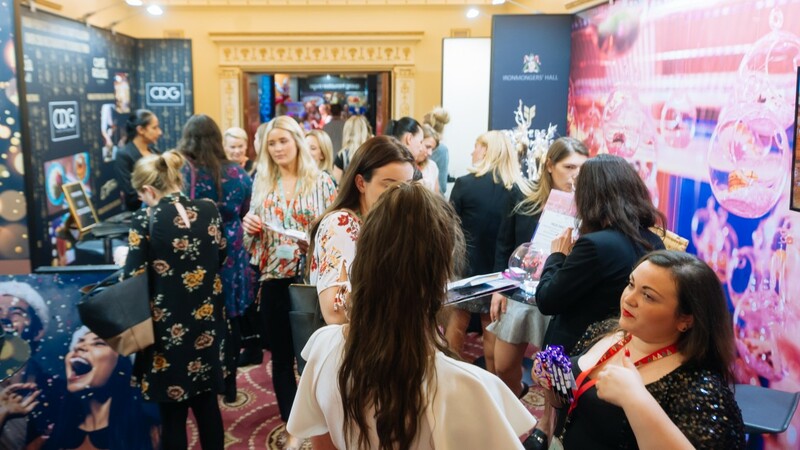 If you came by the stand and were treated to our special PA Life Club booking offer then don’t forget to contact Freddi Jackson now to take advantage before it is too late! 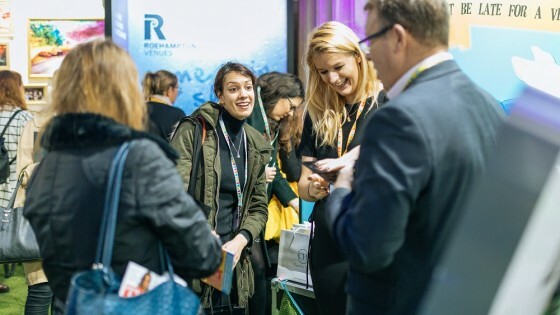 The show also included the presentation of Venue Search London’s second London Christmas Party Survey to over 200 corporate buyers over three packed seminars. The survey covers the party choices of over 300 corporate party buyers in the 2017 season, revealing the continued strength of this important market sector and key trends and changes in buyers’ intentions for the upcoming 2018 season. 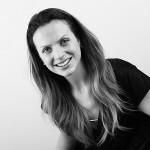 Top trends identified include the average spend per head rising by two per cent in 2017 to £86 + VAT, with 59 per cent of parties still opting for the more formal seated lunch or dinner catering style. 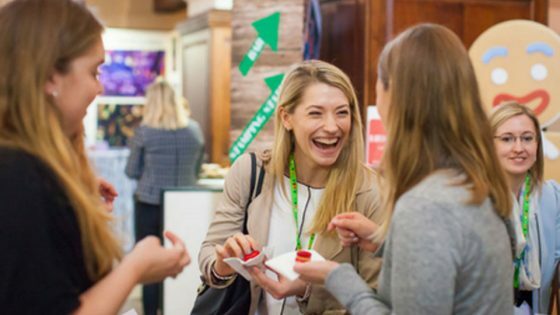 Thursdays and Fridays remain the most popular nights for parties, accounting for 69 per cent of the total market, with an increasing trend towards lunchtime events, which now represent 21 per cent of the total Christmas party market (up from 18 per cent in 2016). 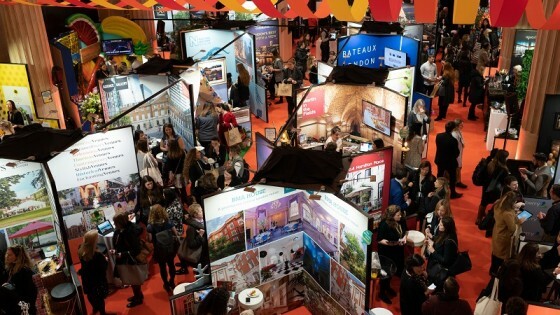 At the start of the month, we reported the findings of Story’s London Christmas Party Show Venue Search London’s 2018 survey. Click here for the findings. Story’s sister London Summer Event Show will be returning to Banking Hall on January 22 and 23, 2019. Applications to exhibit are currently open. Contact ellie@storyevents.co.uk for more information.